A bold web presence is essential to creating a lasting relationship with your customers. Our designers will create a unique identity and brand experience to set you apart from your competition. Act Bold has a knack for creating beautiful designs. 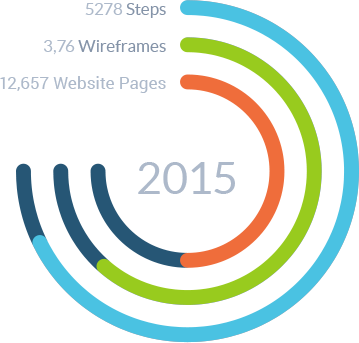 Our team of designers have thousands of hours designing gorgeous websites under their belts. We design your site with two elements in mind: User Experience and Conversions. All eCommerce designs are created to keep the customer engaged and convert. Act Bold strives to get every design perfect and aligned with the customers brand and style. Our SEO team will work closely with the design team to make sure all elements can be optimized for future marketing initiatives. Our navigational blueprint and customer profile sessions focus on pushing every customer down the conversion funnel. Act Bold’s design process goes through a rigorous creativity session and design roundtable to nail down our client’s global vision and brand. We begin the process with the Information Architecture stage. This phase is the process of translating the client’s business requirements and goals into the structure and layout of the website. Our designers and user experience architects will work together to create an organized sitemap and multiple wireframes. The next phase in our web design service is the visual design and brand alignment. During the visual design process, our SEO and marketing team work closely with our designers to make sure the designs tell our client’s story and showcase their brand. We require our customers to fill out a “Look and Feel Questionnaire” that guides our design team in the right direction. Finally, Act Bold will always follow web design best practices. In doing so, our design team will ALWAYS start with the mobile experience. We believe that every design phase should start with creating a flawless mobile, responsive design. This allows our team to create a desktop and mobile experience that does not sacrifice crucial user experience elements. “Look and Feel” Questionaire, Customer Profile, Brand Guidelines, Competitor Design Analysis, Design Inspirations. Sitemap Creation, Navigational Blueprint, Wire Frame Creation. 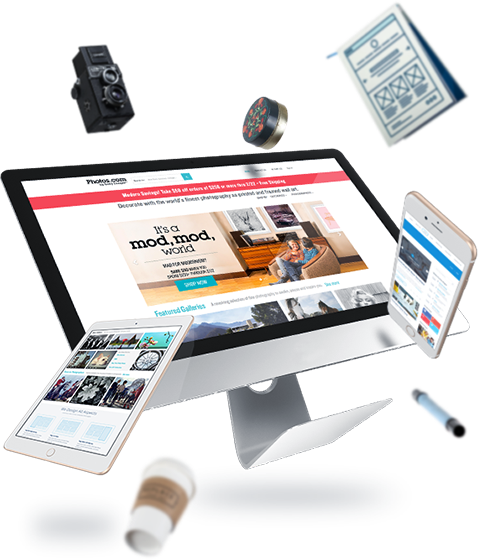 Fully Responsive for Desktop, Mobile, and Tablet, Multiple rounds of Mock-ups, SEO Friendly.